What is Buy and Build? 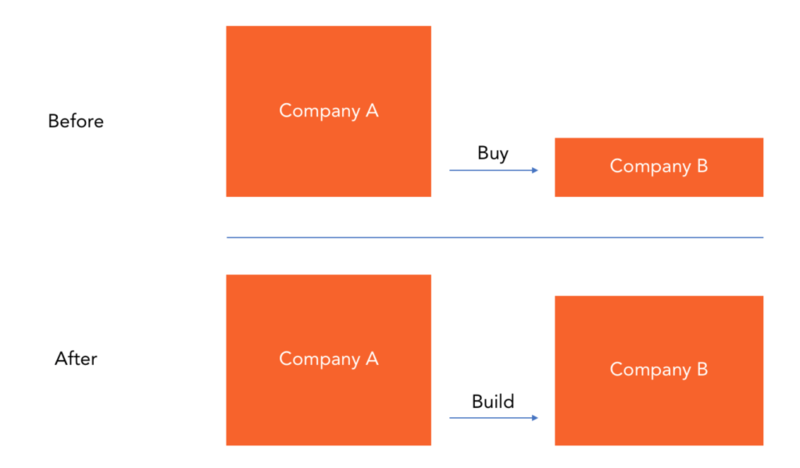 The buy and build strategy is when a company expands its operations by acquiring a platform company with a developed expertise that it can then build out. 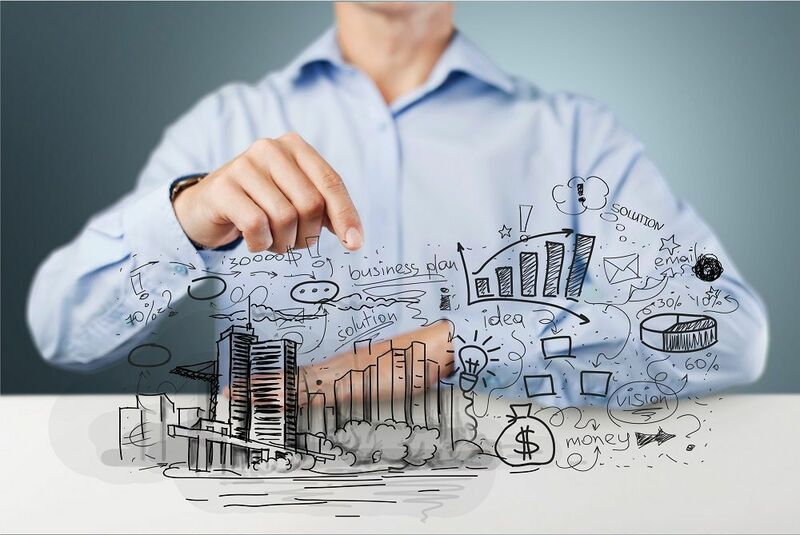 When a business requires growth and expansion, there are several possibilities to consider. The company can develop its internal capabilities that will drive the expansion, or the entity can buy a business with an already developed expertise in that area of specialization and build it out further. The Buy and Build strategy, therefore, adopts the latter option. The effect can create great value since the operations of several smaller firms combine to add value to the new firm. However, the success of the combination heavily depends on the platform company, which may result in destroying value if the strategy is not properly executed. The buy and build strategy brings with it lots of benefits. The strategy is a platform for an organization to expand and grow. It enables organizations to expand through acquisitions that add value to their business. The development of skills in an organizational settingSuccession PlanningSuccession planning refers to the process in which employees are recruited and developed with the aim of filling a key role within an organization. It takes time and denies the organization the required expertise to flourish. However, this time could be saved through the acquisition of such a strategy. The growth of an organization requires skills and expertise that support doing business and expanding to other markets successfully. The disadvantage of this strategy is that it will reduce the number of resources over time. The acquired businesses to some extent determine the success of the merger. When buying existing firms, the company should go for firms that can work together as a team since it is easier to flourish together as a team. The buy and build strategy is common among private equity firmsTop 10 Private Equity FirmsWho are the top 10 private equity firms in the world? Our list of the top ten largest PE firms, sorted by total capital raised. Common strategies within P.E. include leveraged buyouts (LBO), venture capital, growth capital, distressed investments and mezzanine capital. with a short holding period of between three and five years. When investors put their funds into private equity, they do so expecting a reasonable amount of interest after an agreed period lapses. The availability of these funds for short-term investments supports a private equity firm’s preference for the buy and build business model. The acquisition process is challenging due to the sensitive nature of the company integration process. The implementation process, therefore, requires top-notch precision to press the right buttons for the strategy to work. The management team, more the CEO, should be appropriate since they run the entire portfolio of companies. When indulging in the growth process, a company should first assess its capability to finance and manage the small entities that come together through a buy and build strategy. Certain entities can comfortably support the acquisition of such platforms and companies while others cannot. The approach that the company adopts should suit its growth and expansion plans. Growth is a long-term strategy, and every entity should aim at expanding to other markets and localities which should reflect in increased revenue and profits. However, any miscalculation can see an entity on a decline rather than an incline due to wrong growth and expansion strategies. The acquisition and later, the integration of a platform company with the other companies, can be an uphill task if not well thought out. The process should, therefore, be strategically taking every acquisition singly and with utmost care. Every acquisition should be carefully embedded into the rest of the group carefully without the hurry to acquire the next company. It ensures that the management makes the right choices of companies that also blend in perfectly with other acquired entities. Otherwise, the organization would be based on a shaky foundation which could can to a failure. The industry to a large extent determines whether the buy and build strategy would work. Some industries are characterized by lack of maturity and profitability, especially for short-term investments. The management team should pick on a lucrative sector which will grow, blossom and flourish within the short period. Furthermore, the platform company should be best suited for the sector in question. The expertise will guide the organization towards a profitable future if the industry is the right one. The acquired companies should, therefore, be related to the sector, which ensures fast blending and saving time and money. One of the main intentions of a buy and build strategy is the addition of value. When smaller entities are acquired and merged into an organization, the resulting combination should be a perfect match. The acquired companies should complement each other and add value to the combined entity. For instance, merging the smaller companies should make the cost of doing business lower, reduce the operating expenses and increase the volume of profits. The primary focus of any business is making reasonable profits and paying their dues without difficulties. The expansion is also a priority but the timing and roll-out strategy matters. Customers are an essential component of any business because they bring in sales, profits, expenses and the establishment itself. The business should prioritize the welfare of its customer since, without them, there would be no business to transact. When making any changes to the business such as bringing in new small components through the buy and build model, the customers should be informed of such intentions in advance. Each of the acquired small companies should work to attract and retain its loyal customers into the combined business model. Show concern on their part and convince them on the benefits of the changes that occurred in the business. At the end of the buy and build strategy exercise, the customer should feel convinced that the move was necessary. However, all the communication should be replicated with improvement in operations in the business and the general quality of the products. Royal customers can also be rewarded with discounts and prizes to spread the positive image of the organization.